so security can never be compromised. Different SMS providers offer varying levels of security. SSL is an acronym for Secure Sockets Layer. It's the little green padlock in the browser URL bar. 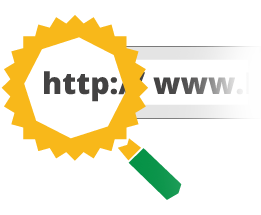 SSL creates an encrypted connection between your web server and your visitor's web browser. This creates a private connection in which information can be transmitted just between your web server and your visitor's web browser. This private connection eliminates the possible problems of data tampering, eavesdropping or message forgery. 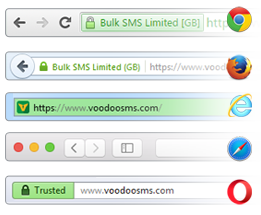 Why does Voodoo SMS insist on using SSL on EVERY Page? Voodoo SMS are proud to be awarded Cyber Essentials certification, a government-backed scheme to assist businesses in maintaining cyber security standards. Cyber Essentials is a requirement for government contracts awarded through the GCloud framework and has been developed as part of the UK’s National Cyber Security Programme. 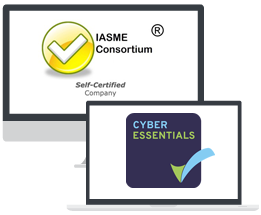 Through this, Voodoo SMS have also been awarded certification of IASME Security Standards. Both certificates ensure that security is at the forefront of Voodoo SMS’ best practice policy throughout the company. What further actions do Voodoo SMS take to ensure your security? Understanding that the security of your data is paramount, we go above and beyond the call of duty to ensure your peace of of mind. We undertake regular penetration testing to ensure our cybersecurity contains no points-of-weakness and fully complies to PCI DSS standards. Also, we choose UKFast for our managed servers - offering you round-the-clock protection behind a Cisco ASA Firewall. Surely all other major bulk SMS providers have secure websites? It may come as a surprise to many people that a lot of the major bulk SMS providers don't actually have websites that are as secure as they could be. Some major providers don’t have an encrypted connection on their site at all, which means that the information you transmit to their site isn't actually private. A lot of the major providers have encrypted connections, but with an Obsolete Cipher Suite. 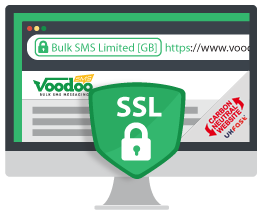 Very few major bulk SMS providers have an Extended Validation Certificate, Voodoo SMS are one of few. To Compare the security of all the major providers of bulk SMS, we are using stats from www.ssllabs.com on a scale of 0-100, with 100 being the best and 0 being the worst result. The overall mark is a grade, A being the best and F being the worst. The highest class of SSL. Don't get this confused with a standard certificate! The way a server supports certain protocols. Any method in cryptology. This creates an algorithm in which secure data can be transmitted between two parties. 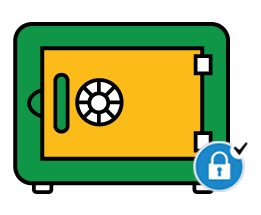 The strength of the encrypted connection; basically the strength of the padlock that protects your precious information.